I recently shared a few short videos to Instagram of some Russian boxing and wrestling training from the 1980s. In the time since, I’ve seen the videos shared all over social media. I’ve also seen loads of questions about where the videos originated. With that in mind, I’ll use this entry to share links to the full versions. The boxing training video is over 19 minutes, and the wrestling training video is over 16 minutes. Below you will find a link to each full version (labeled Additional Viewing), along with the abbreviated one-minute Instagram clip. As you’ll see within each video, much of what is popular in today’s industry is everything but new. Both of these 30+ year old videos are filled with exercises that are still used by high level athletes today. And while that may sound insignificant to some, I believe there’s an important lesson to discuss. So many of today’s athletes waste inordinate amounts of time searching for new or different ways to train. What they fail to realize though is that some of the best ideas have already been created. I don’t know if there will ever be a better system than one that emphasizes sport practice first, and then supplements it with established bodyweight and free weight movements. There’s really no need to get any fancier than that. Over the past few weeks, I’ve made a point to hammer home the idea that the old school is still a great school. My reason for doing so is quite simple. And no, I don’t get royalty checks for promoting old Russian videos from the 1980s. There’s no personal benefit in it for me. On the contrary, I’m just a real-life coach who’s tired of seeing athletes fooled to believe that they need the latest and greatest training program to succeed. Successful training does not need to be complex. Hard work can have a magical effect on even very simple exercises. Using my own gym as an example, I’ve trained world champions with some of the same movements that you’ll find in these old black and white videos. The old school continues to benefit me and my athletes, so I encourage you to do the same. 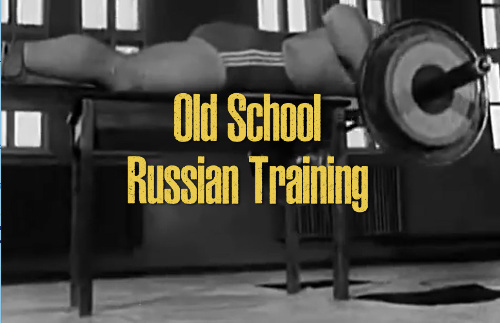 The post Old School Russian Training appeared first on RossTraining.com. Read more about this at rosstraining.com.